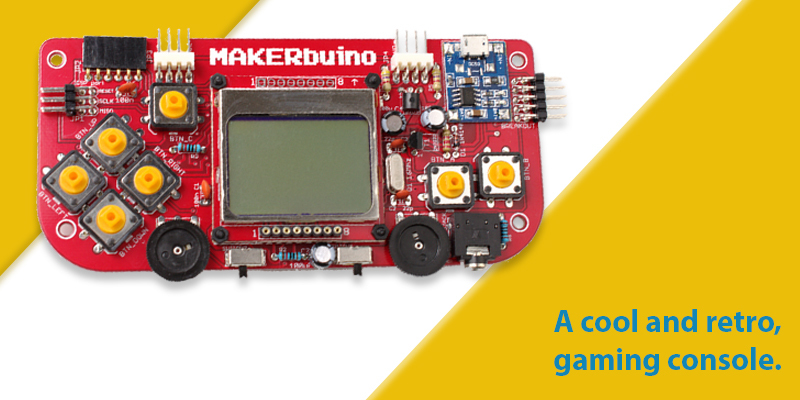 MAKERbuino - The coolest gaming console. MAKERbuino – The coolest gaming console. We have all wished to own a gaming console that was solely created by us, at some point in our lives. MAKERbuino, a cool, retro and portable gaming console, will make this possible. Kids today are glued to the couch with a controller in hand. The teens kill time spending hours in front of their video games. But, gaming has some benefits too: it has been observed to improve hand-eye coordination and enhance memory and concentration. Besides being a cool retro gaming console, MAKERbuino is also an educational tool for learning various forms of STEM skills (Science, Technology, Engineering & Mathematics). This device is an open source handheld game device which can be fully DIY. Besides this, it is also an educational device shaped like a game console. It is primarily constructed to encourage kids to learn while they play. Its cost is equal to a newly released game for a games console. Turn it into a cell phone by designing a custom 3D printing or cut casing, change the buttons, redesign it and make it unique. A device that is not only for the beginners, but it also keeps the experts busy. It teaches you the basic electronics skills: soldering, recognising the essential electronic components, connecting & programming. Once you have built your MAKERbuino, you can play games that are bundled on the SD card, or download new from the online portals gallery. Also, you can chain more than two MAKERbuinos together using cables. A great DIY exercise for all programming and gaming techies. The process of assembling and self-soldering the components of Makerbuino can be quite fascinating. Being compatible with numerous Arduino related examples of manipulating various hardware and software components. In fact, it’s compatible with all Arduino UNO softwares available online and will work with many Arduino modules with minimal or no modifications. 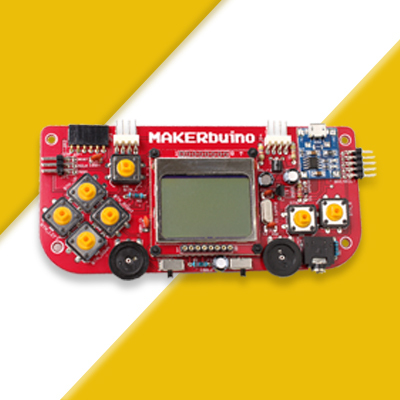 To build your MAKERbuino, you will only need some basic tools and an interest in technology. However, programming this kit is relatively easy if you are well versed with English and the Arduino programming. Now you can say goodbye to your latest iPhones or PlayStations, and be the tech genie around your friends with MAKERbuino – a gaming console you can build and customize yourself.